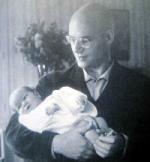 Alexander Grothendieck passed away in November 2014 at the age of 86. He contributed to several areas of mathematics and most prominently, laid the modern foundations of the field of algebraic geometry. As is often the case with mathematics, one can connect theoretical concepts from one area of inquiry to practically observed phenomena by using ideas from other areas to forge such a connection. This post is the first of a series that will describe an informal connection that leads from Grothendieck’s work in algebraic geometry via category theory and mathematical logic to high-performance solvers for NP-hard problems. Though these connections are not formal, it is amazing that they even exist. Grothendieck’s life is a unique story of diverse themes of great intensity converging in one person. His parents were active in events surrounding the Spanish Civil War and his father later died in Auschwitz during the second World War. As a student, his self-study in mathematics led him to rediscover the Lebesgue measure but he nonetheless lacked the background to attend Henri Cartan’s seminar at the École Normale Supérieure and so moved to the University of Nancy for his doctoral work in functional analysis. Between 1953 and 1970, he proposed a new foundation for algebraic geometry and together with the community that grew around him, established fundamental connections between geometry, complex analysis, topology and category theory. Grothendieck is known for unwaveringly following his personal compass. During a bombing of Hanoi, he is supposed to have conducted lectures on category theory in a nearby forest as a form of protest. From 1970 onwards, he withdrew from mathematics in various stages while simultaneously studying biology and devoting time to pacifist and ecological activism. Documents about his nationality were destroyed during the second World War and he did not apply for French citizenship until the 1980s, spending much of his life stateless and travelled using the Nansen passport issued by the League of Nations to refugees. In the 1980s, Grothendieck wrote Récoltes et Semailles, an autobiographical work that explored his mathematical process, his work and the mathematical community. This work contains passages that resonate powerfully with readers far removed from pure mathematics (See for example threads on Hacker News and Reddit [1, 2]). Many intellectuals, and possibly all people, experience varying degrees of alienation as we develop and mature within a community. Conducting research involves discovering paths to either accept, ignore or overcome the obstacles that arise from thinking differently from others, feeling stupid, and communicating with those around us. Grothendieck, in a deeply moving piece, describes his capacity to be alone as central to his process and achievements. One can learn more about Grothendieck’s life and work from these resources. Basic biographical information: Wikipedia and MacTutor. Steven Landsburg’s blog posts provide an accessible glimpse into Grothendieck’s approach and ideas: The Generalist and The Rising Sea. Allyn Jackson’s articles in the Notices of the American Mathematical Society describe Grothendieck’s life to professional mathematicians: Comme Appelé du Néant — As If Summoned from the Void: The Life of Alexandre Grothendieck: Part I and Part II. Pierre Cartier’s essay A country of which nothing is known but the name Grothendieck and “motives”, describes both Grothendieck’s background and his work and attempts to analyze Grothendieck’s personal tastes and choices. Winfried Scharlau’s article Who is Grothendieck? is among the best about his later years and amazingly manages not to pass judgement on or analyze Grothendieck in a way most other articles do. Colin McLarty’s article The Rising Sea: Grothendieck on simplicity and generality I provides my favourite perspective on how Grothendieck might have perceived his own work. The comments in this n-Category Cafe article discuss Grothendieck and physics and his questions about the definition of the meter as a notion of length. The second post in this series will describe the algebraic approach to logic, the third will connect algebraic logic to algebraic geometry and the final post will connect all these to the internals of satisfiability solvers.